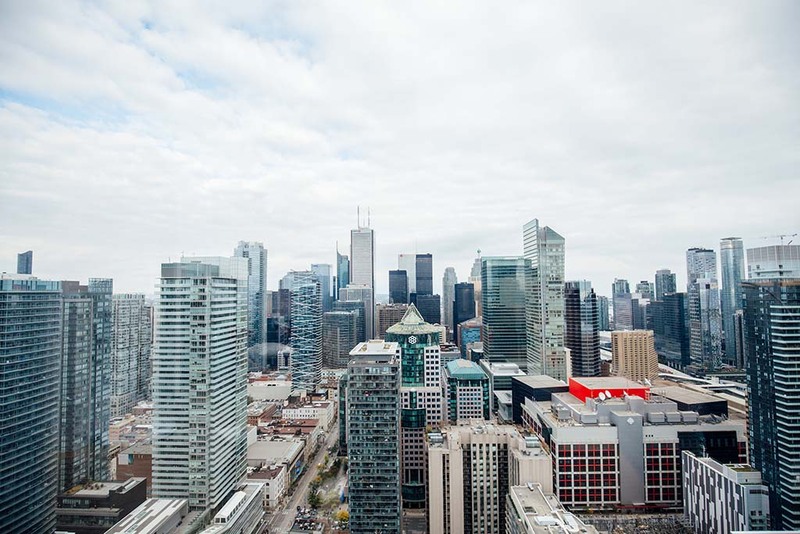 Standing a towering 44 stories, featuring over 3,000 pieces of art, 96 boutique rooms and 355 residential condos – Toronto has made room for this luxury hotel right in the heart of downtown. 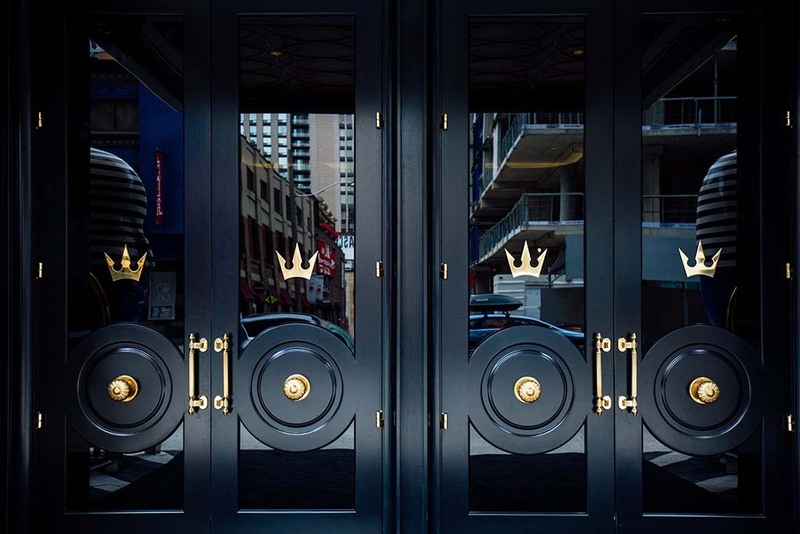 With its imposing black matte doorways and gold embossed detailing, walking into the hotel may seem intimidating. Fear not. 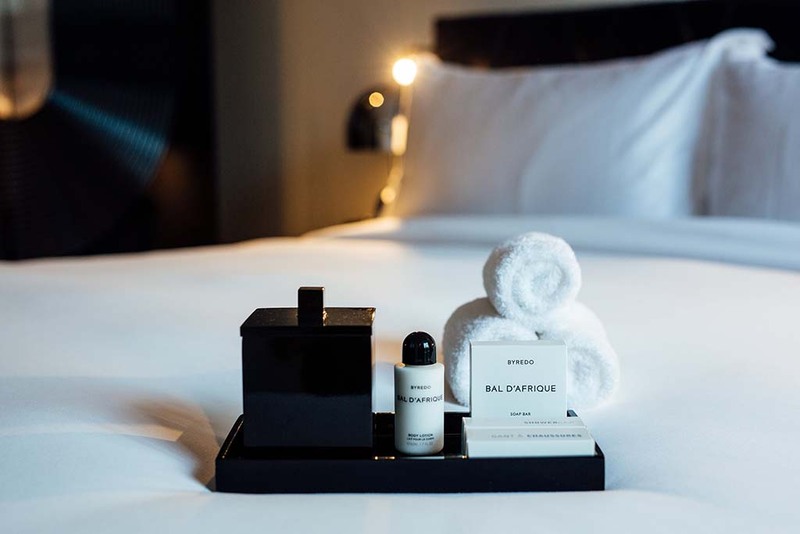 As you walk in, you’re immediately greeted with a delightful fragrance featuring hints of sandalwood, amber and eucalyptus (which will soon be available to purchase) along with the warmest welcome from the staff, which feels more like a welcome back. 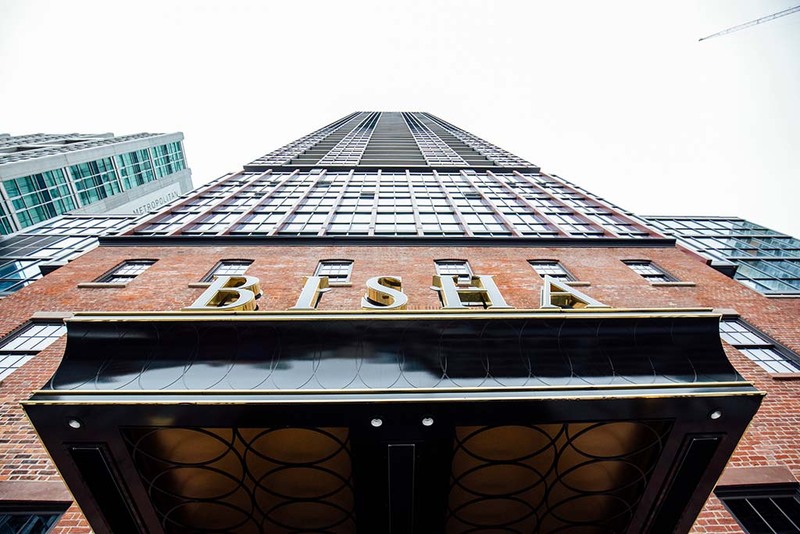 Whether you’re visiting from out of town or a local looking for a new spot to hang, see what makes the Bisha Hotel so distinct. 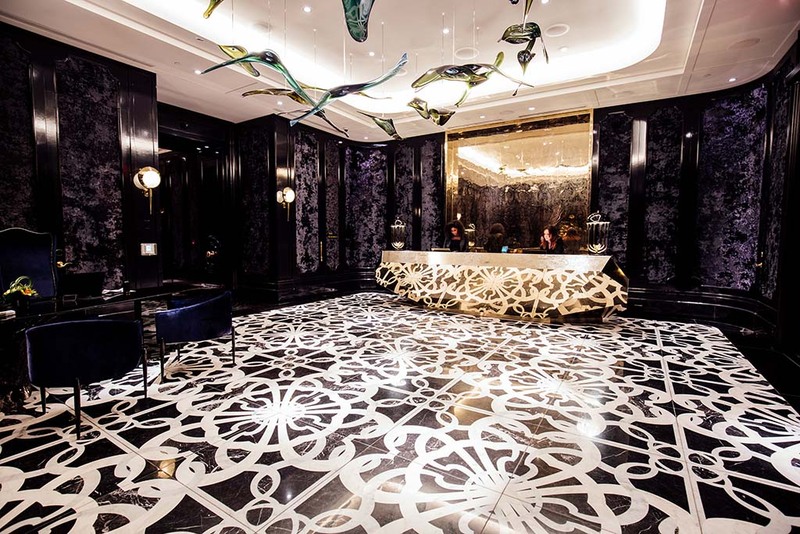 Just a few steps from the gorgeous main lobby you’ll enter the Lobby Lounge. 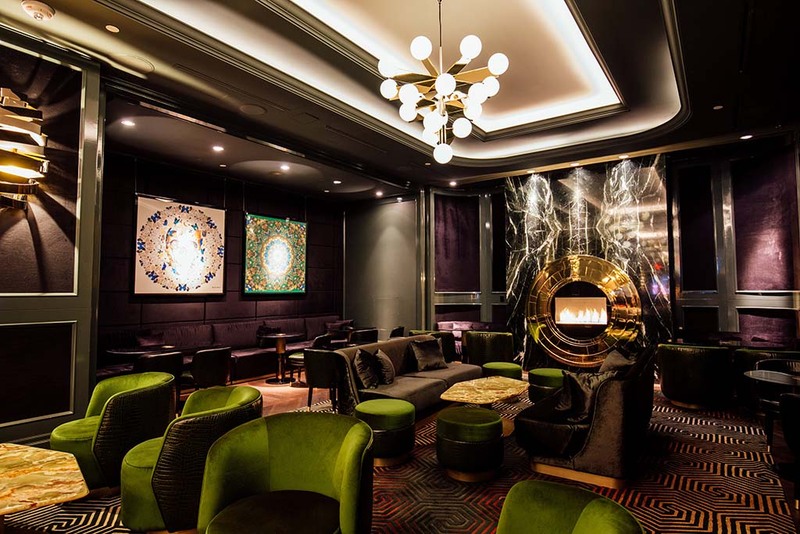 Whether you’re grabbing a drink before dinner or settling in for a nightcap, the comfortable velvet couches near the fireplace and dramatic mood lighting is a dangerous combination to lose time in. 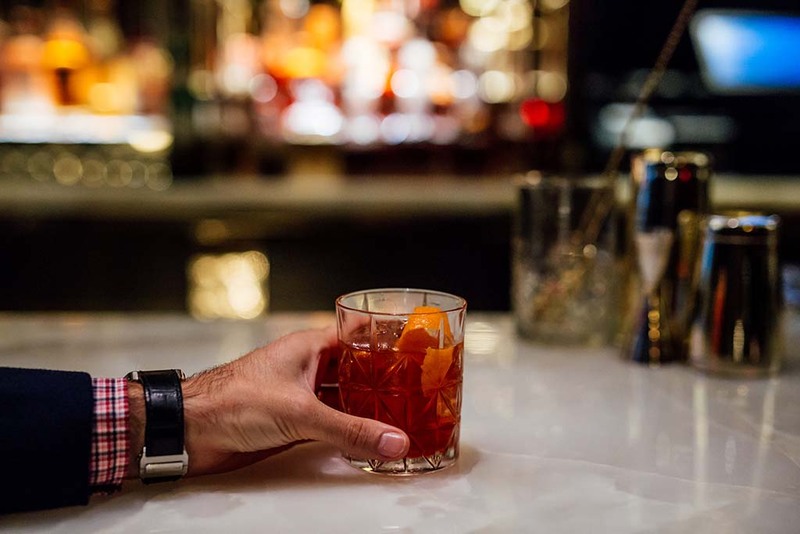 It’s highly recommended that you order the Vanilla Old Fashioned. 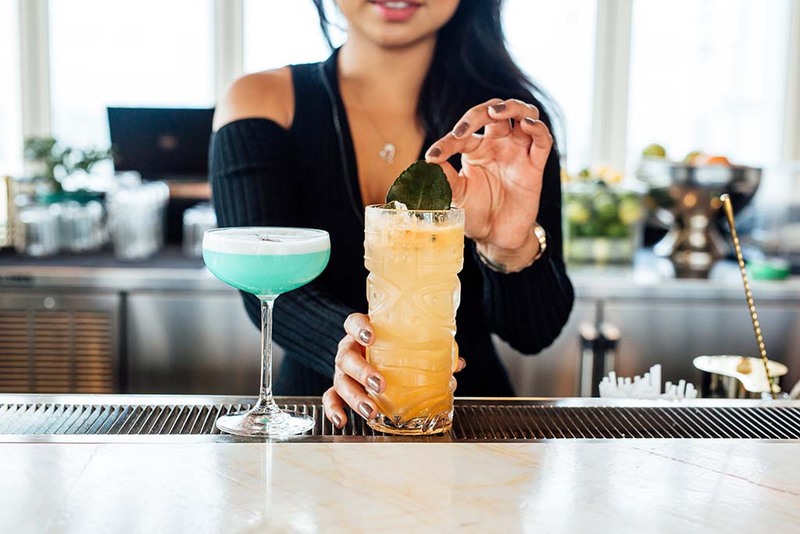 The fresh syrupy vanilla enhances the sweet and bold flavours of the bourbon, while the sugar cube and bitters highlight the essence of the cocktail. It’s then topped with a squeeze of orange zest to boost the aromatics. Start your day in the hotel’s French Made café. Have your pick of some of the freshest baked goods made in-house. 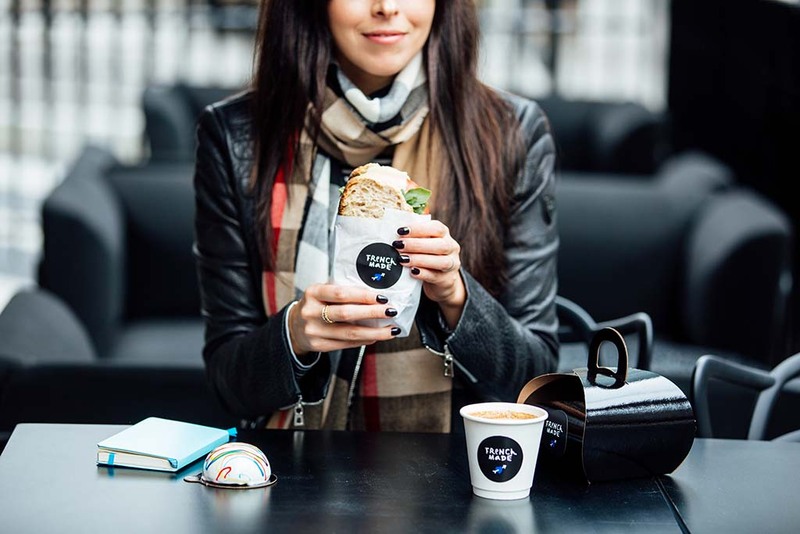 If you’re on the run, grab a handcrafted sandwich and a perfectly-designed latte. 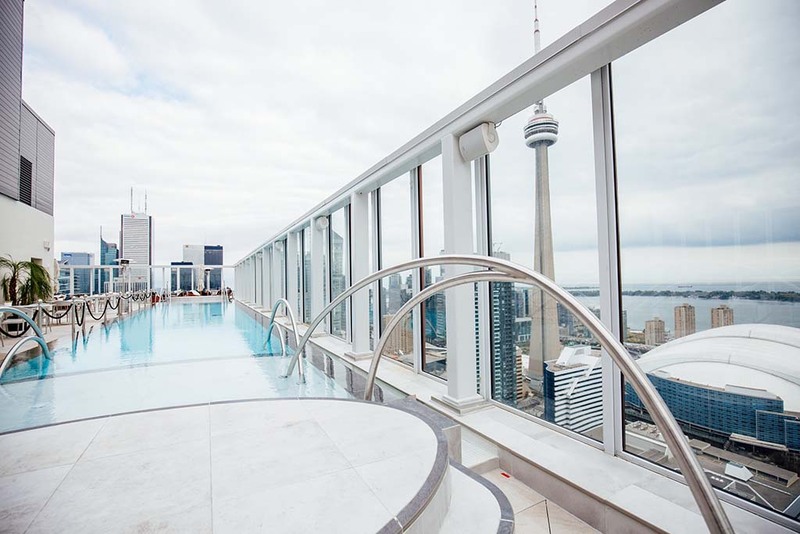 Go 44 floors up and you’re in island paradise (literally). 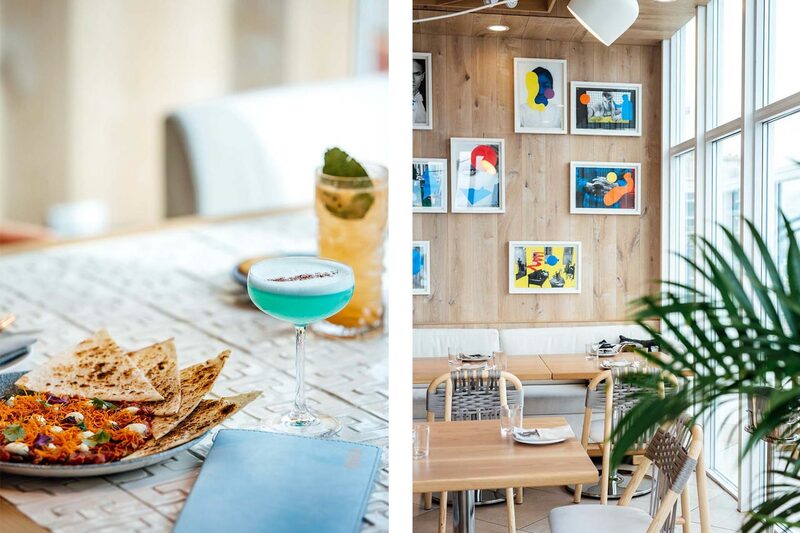 Kost (pronounced ‘coast’) is Bisha’s Baja-inspired restaurant. 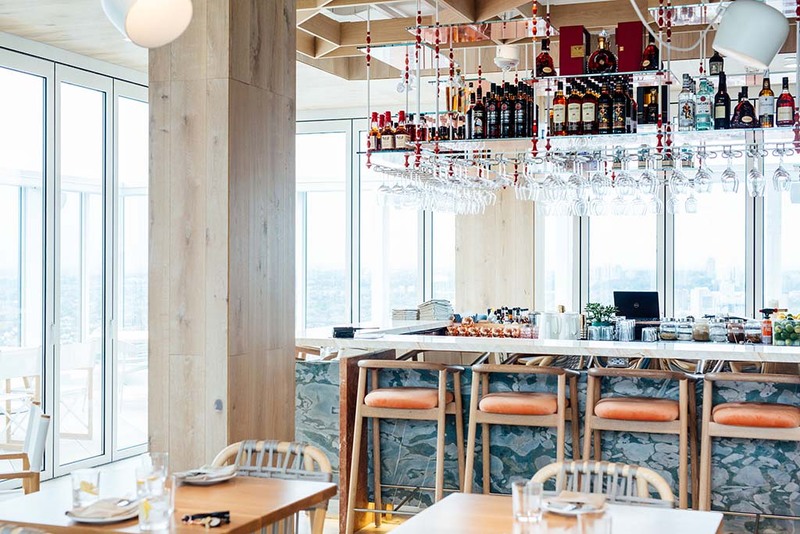 Walk into shades of tropical peach, ivory and green at the bar with soft, apricot velvet barstools and woven banquettes. 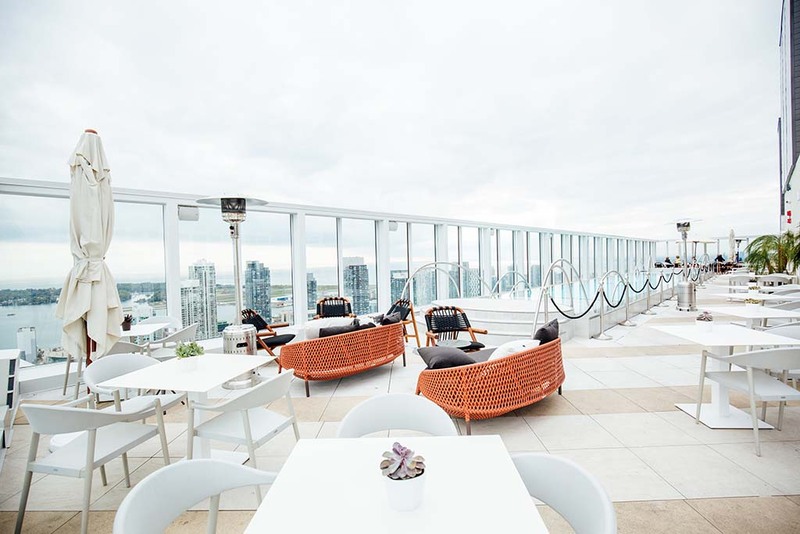 This rooftop nirvana will have you forgetting you’re still in the heart of downtown until you peer out at the unobstructed view of the city. And not too far off in the distance you’ll see a Porter plane making its landing on the Toronto island. 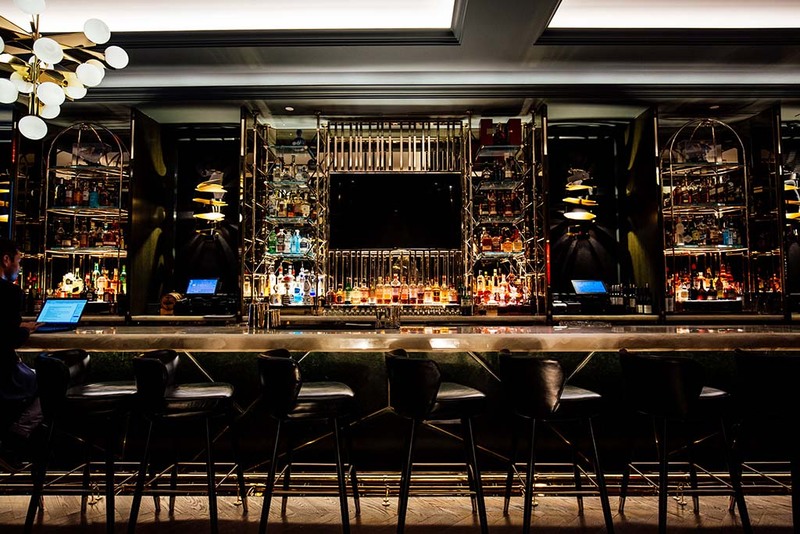 The menu focuses on refreshing and shareable snacks such as ceviche, tiradito and tartar. Locally sourced and seasonal ingredients feature prominently. For carnivores, try the succulent house-marinated meats and seafood grilled to perfection. 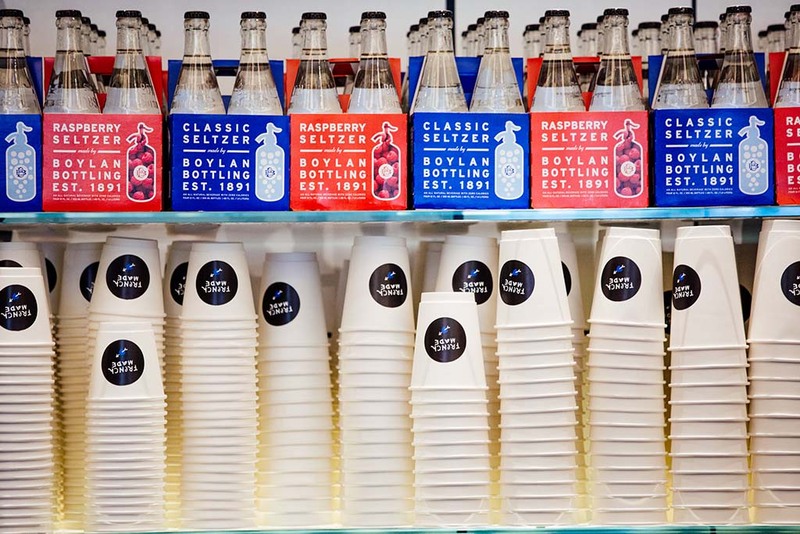 If you’re popping in for a drink, there’s quite the lineup of cocktails all photo-worthy. 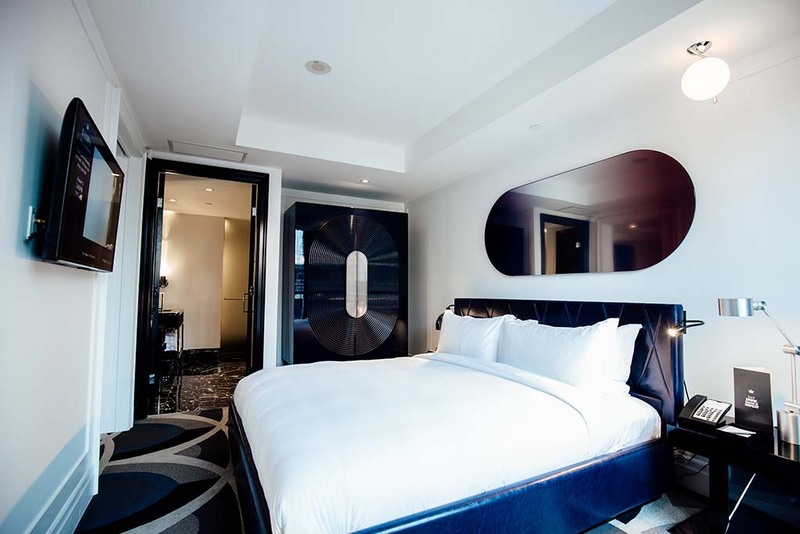 All rooms and spaces have been designed by Studio Munge to impress with bold, impactful interiors while providing sophistication and closeness. As you wander down the hallways, give yourself time to peruse the iconic pop art-style pieces from Andy Warhol and dozens of other artists. 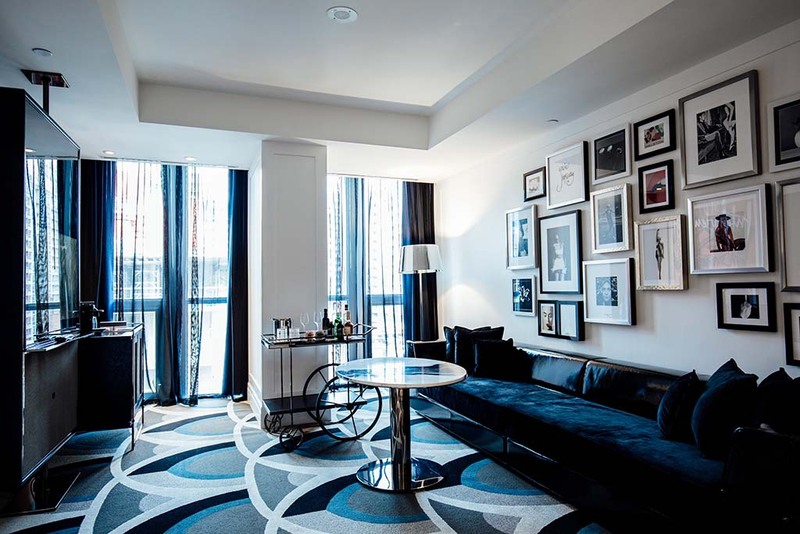 After arriving at the Stella Suite, a New York-inspired flat, you’ll be completely in awe of its gallery wall, featuring a montage of eclectic art, featuring a variety photographs, prints and art. 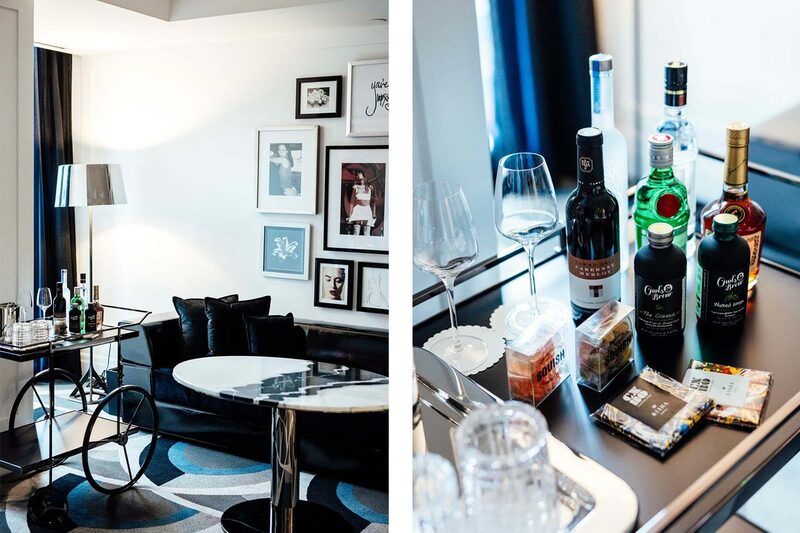 Complete with a fully stocked bar cart, this room has everything you need to lock yourself away for a few days. Of course, no hotel stay is complete without checking out the goods of the in-room amenities. 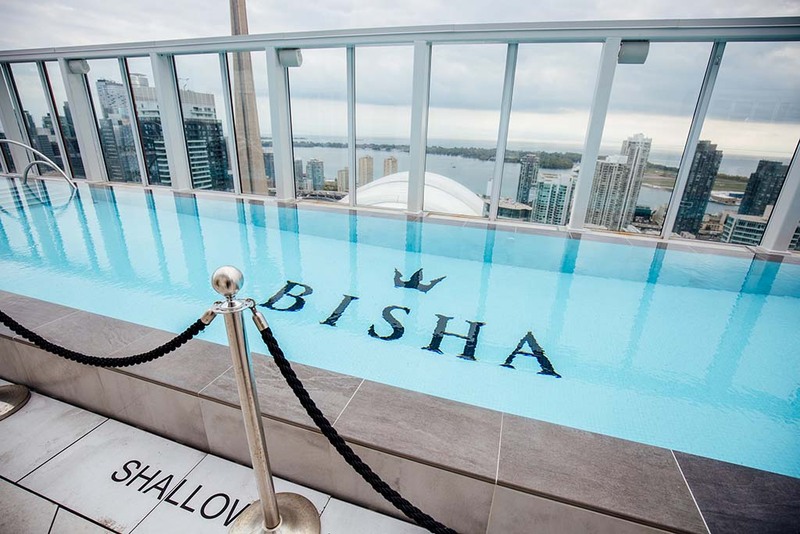 Byredo, a modern European luxury brand, has made its first-ever Canadian hotel collaboration with Bisha. The lineup includes shampoo, conditioner, body lotion, bath, gel, and soap bars all made in Canada.